They say that good things come to those who wait and this definitely holds true for Mission Taco Joint. Long wait times caused me to bail out a couple of times before I finally got to enjoy this delicious Mexican “street food” that I had heard so many people talking about. We decided to grab a drink at the bar in hopes of making our hour wait pass just a little bit faster. The bar menu was quite extensive and included a long list of draft and bottled craft beer as well as creative cocktails. The margarita that I opted for was much more inventive than your average margarita mix and tequila. This creation included a combination of agave nectar, lime juice, tequila blanco, and orange curacao, which was topped with a salt rim and an orange slice. The bar also offered the full restaurant menu and several people were able to bypass the long wait times by taking advantage of this option instead. Our name was finally called and we were seated near the bar at a high-top table for six. As busy as the restaurant was, the waitress greeted us right away and the service remained perfect for the rest of the night. We quickly decided on queso con chorizo and guacamole for our appetizers. Although I had to skip out on the queso (#vegetarianproblems), the entire bowl was devoured within a few minutes. The guacamole was seasoned perfectly and was gone equally as fast. Both were served with AMAZING tortilla chips that I personally think are so good that they need to be sold in stores. Finally it was time for tacos! With choices of filling including fish, cactus, tofu, duck, and sweet potato with chorizo, these are not your average tacos. They are served with a soft shell and three tacos were sufficient for just about everyone. While I loved the combination of flavors, if you are not a fan of spice, make sure to let your server know because many of them pack a pretty big punch. We also ordered grilled vegetable quinoa and street corn “off the cob” as side dishes. If you take nothing else away from this post, remember that if you don’t order the street corn, you are not doing your meal at Mission justice. I have no words for this creamy, cheesy, corn creation other than wow! The food more than made up for the long wait and I will definitely be coming back to Mission Taco soon. Mission Taco is located at 6235 Delmar Blvd in the University City Loop. 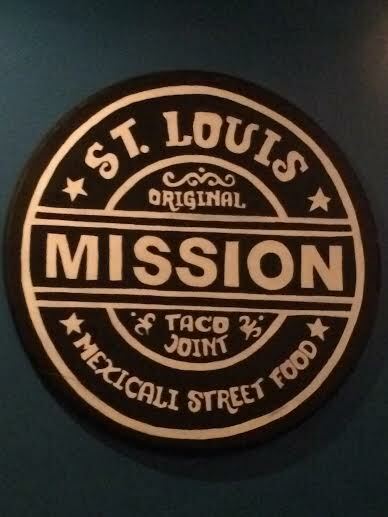 Check out their website at http://www.missiontacostl.com for more info.